In honor of Chipeta’s recognition during National Women’s History Month, here is a post about her 1880 testimony before a Congressional Committee investigating the Meeker Massacre in Colorado. This post originally appeared on this blog March 24, 2009. On March 19, 1880 Chipeta entered the Capitol building and took the witness stand facing a group of Congressmen seated behind a long table. Not yet 40 years old, she had lived her entire life in the Rocky Mountains. She was the wife of Chief Ouray and his most trusted advisor and confidant. She travelled to Washington, D.C. with a group of Ute chiefs. Secretary of Interior Carl Schurz welcomed her as a member of the delegation rather than as a tag-along wife. Her upcoming testimony was announced by The Washington Post, describing her as “a fat, good-humored looking squaw.” The reason for her appearance in the capitol city was an event that had captured national attention the previous year. A group of Northern Utes attacked a column of soldiers, murdered their Indian agent, Nathan Meeker, and all male employees of the agency. They spirited three white women and two children into the high mountains as hostages. Newspapers across the nation followed the unfolding events for the next 30 days until the hostages were safely released. Source: Testimony in Relation to Ute Outbreak, 46th Congress, 2nd Session, House Miscellaneous Documents no. 38, 1880, 91. In his 1885 annual report, Agent Elisha M. Davis stated his observation of differences between the Uintah and White River bands of Utes. The two bands had shared the Uintah Reservation in Utah since 1882. Davis began his assignment about the time the White River Utes were relocated from Colorado. By the time of this report he had known both groups for three years. The Uintahs branched off from the great Ute nation and settled by themselves in this valley many years ago. The Uintahs are an agricultural people, depending very little upon the chase [hunting]. The habits and customs of the Uintah Indians are more nearly like those of the tribes north of them. The language of the Uintahs is, I apprehend, the pure Ute language, it having undergone little or no change since they settled here. The White Rivers have never taken kindly to agriculture. The chief cause of the Meeker massacre was because Mr. Meeker tried to compel them to work. They have never been contented to settle down in one place. Their habits are more like their southern neighbors. Their language is different in many respects from that of the Uintahs, it [the White River language] being strongly tinctured with Spanish. Agent Davis held the U.S. Government responsible for some of the conflicts between the Uintah and White River Utes. Being forced to share their reservation land with the White Rivers was difficult enough for the Uintahs. 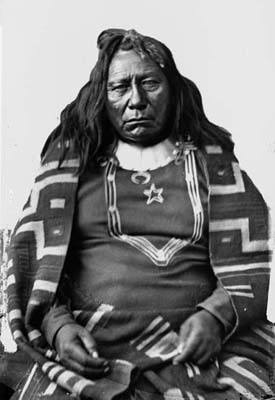 To widen the breach, between them, the Uintah were compelled to stand peacefully by and see the White River Utes, whose hands were reeking with the blood of Agent Meeker, his family and his employees, receive a large cash annuity, when they were brought here in 1882, and they [the Uintahs] receive nothing…and then a large herd of beef cattle belonging to the White River Utes was brought here at the same time, which was issued to them in abundance, while the Uintahs received little or none. The Uintah Utes were included as part of the “Confederated Band of Utes” who shared an annual cash annuity of $50,000 for giving up reservation land. When divided among roughly 3,300 eligible Utes, each person’s share was about $15 per year. However, “pensions” to families of the Meeker victims, totaling about $3,000 per year, were paid out of the White River share of the annuity. This reduced the share received by each White River Ute to $13 per year. 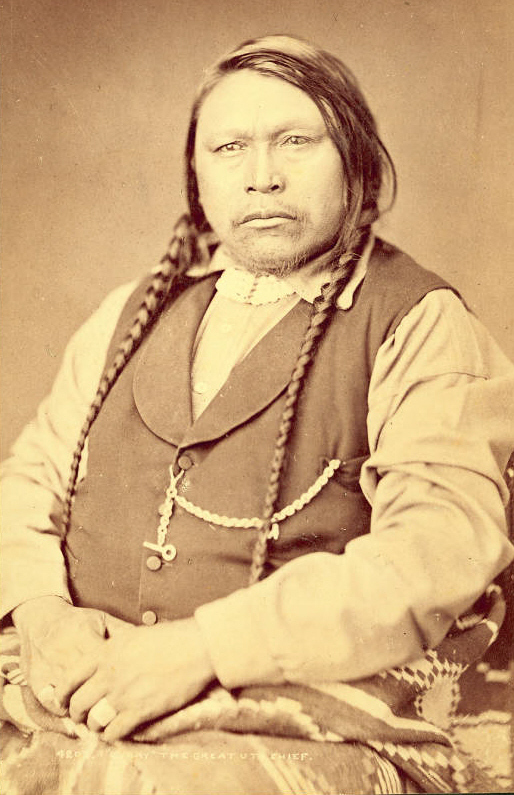 William Leeds was apparently sympathetic to the plight of Indians he encountered in his job with the Indian Bureau, and perhaps irritated with the way the Bureau handled Indian affairs. Leeds had been an investigator for the Board of Indian Commissioners until his appointment as Chief Clerk in 1877. The following note (author unidentified) appeared in the January 10, 1880 issue of Harpers Weekly. The truth is that we impose treaties upon the Indians and observe them just so far as suits our own pleasure, and no farther. When the white population presses more closely upon an Indian reservation, as now upon that of the Utes in Colorado, the Indians are made to give way. Of course the advance of civilization must not be restrained. But equally of course a government which does not intend to respect treaties has no right to make them; and when they are made with people who cannot compel their observance, the violation of them is as mean as it is infamous. Colorow was one of the participants in the 1879 Meeker Massacre. 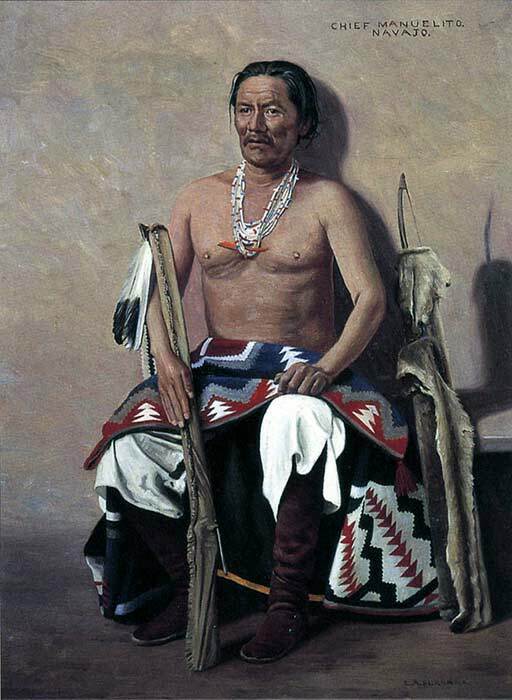 As a result, his band of White River Utes from Colorado was sent to the existing Uintah Reservation in Utah. In 1887, the Indian Agent at the Unitah Agency wrote to the Commissioner of Indian Affairs requesting approval to transfer a list of Indians to the Ouray Agency, Utah. On September 24, 1879, the Office of Indian Affairs approved the appointments of twelve employees at the White River Agency. There was no difference between the annual wage of a laborer, a carpenter, and a blacksmith; everyone received $720.00 per year (plus room and board) regardless of skills. There were two exceptions. The Ute and English-speaking Interpreter received $300.00. Perhaps he worked only part-time. In an unusual twist for the timeperiod, the only female employee received the highest pay–$750.00. Being the Indian Agent’s daughter made no difference on the government’s fixed pay schedule. Josephine Meeker may have received $30 per year more than the male employees because she filled two jobs–Teacher and Physician. The position of Millwright was unfilled because Meeker could not find a qualified person willing to work in a remote and dangerous place for those wages. 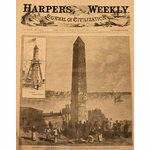 Five days after the official appointment letter was signed in Washington, DC, Agent Meeker and eight employees lay dead. Only Henry James, Albert Woodbury and Edwin Mansfield survived because they were not at the agency on that fatal day. Josephine Meeker also survived after enduring nearly 30 days as a Ute hostage (along with her mother and the wife and two children of Shaduck Price). The women and children taken captive during the September 29, 1879 Meeker Massacre were held in a remote moutain camp. The 5th Cavalry under Colonel Wesley Merritt arrived at the White River Agency on October 11th. They buried the bodies of Meeker and his employees. Reinforcements arrived bringing the total number of soldiers to 1,000. On October 14th, just as Merritt was ready to set out to find the camp and rescue the hostages, he received orders to halt. Secretary of Interior Carl Schurz had arrived in Denver. Two days earlier Chief Ouray and Southern Ute Agent William M. Stanley had assured Schurz that the White River Utes “…will fight no more unless forced to do so.” Schurz wanted a peaceful resolution. He appointed Charles Adams to negotiate for release of the hostages. Adams was a former Ute Indian Agent generally trusted by the Utes. Adams arrived at Ouray and Chipeta’s home on October 21, 1879. Ouray sent a message to the Northern Utes that Adams was coming and assigned his most trusted men to lead Adams to the camp. Adams quickly gained release of the captives. The three women and two children arrived at Ouray and Chipeta’s home on October 29th. Adams continued to negotiate with the Utes to surrender the men responsible for the murders at White River Agency. Finally on November 10th the Utes agreed. The Army remained in western Colorado to keep the peace for the next two years. She road in the valleys, dark and chill. Chipeta did play a vital role in the hostages’ release but she did her work “behind the scenes.” A Northern Ute runner brought the news. Chipeta sent another runner to bring Ouray home from hunting. She assembled the Uncompahgre chiefs ready for a council as soon as Ouray returned. Later, she talked Ouray out of going to war. The Northern Utes asked the other Ute bands to join them. They proposed an all-out war against the white miners and settlers who had invaded traditional Ute territory. Ouray was ill with Bright’s Disease. He knew his body was failing. Dying as a warrior in battle, rather than as a sick man confined to bed, appealed to him. 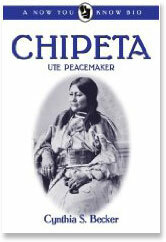 Chipeta talked all night to convince him that war with the citizens of Colorado would doom the Ute people. In the end he ordered the talk of war to cease.